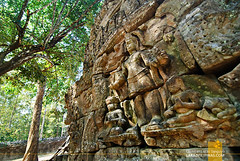 Siem Reap (pronounced siim rrip) is a capital city located in the province of Siem Reap in the northwestern Kingdom of Cambodia. Its name is derived from the words Siam Defeated, which points to a period in its history where it defeated the people of Siam, the present day Thailand. It is the gateway to the Angkor Archeological Site, a series of 9th to 15th century Khmer temple architecture that’s inscribed as part of the UNESCO World Heritage site, including the famous Angkor Wat and Angkor Thom. The area is a favorite backpacking destination for tourists around the world due to its number of historic temples and thriving night life. The fact that a stay in the area is inexpensive is a bonus. 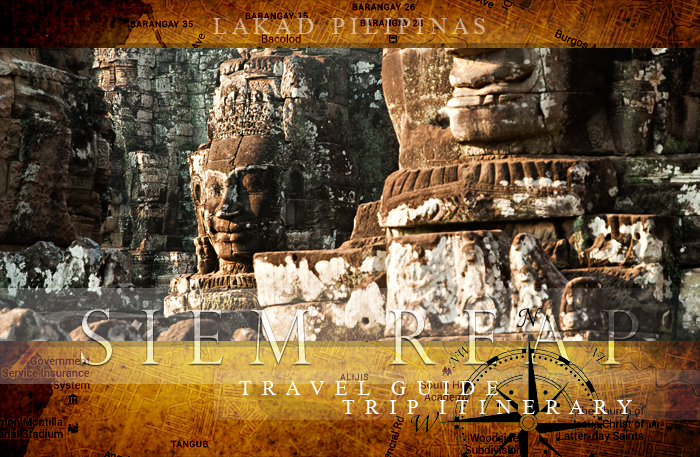 This travel guide is for both new and returning travelers to Siem Reap. 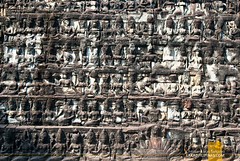 The area has so much to offer, that unless one is staying for weeks on end, you probably won’t be able to cover all the temples in the province. 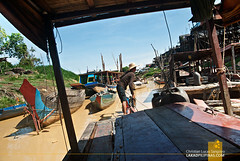 A travel itinerary is also provided for on the last part, flexible for both short and long stays. 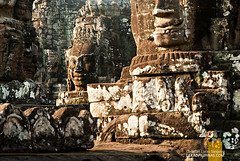 From the Philippines, Cebu Pacific Air has the only direct flight available to Siem Reap. For this reason, flights are quite expensive. 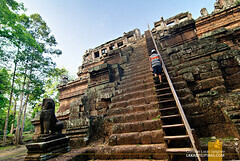 An alternative way to travel to Siem Reap is via the Kuala Lumpur hub. Three airlines fly to KL from Manila, where you can save a bit especially during seat sales. The most common mode of transportation in Siem Reap is the tuk-tuk. It’s a bit like the Philippine calesa, but instead of a horse pulling the carriage out back, it’s a motorcycle. It can comfortably seat four individuals. Most tourists, especially those on a tight budget prefer renting a bicycle for about 1 to 5 USD (renting motorbikes to foreigners are prohibited). The Angkor Archeological Site is near enough that cycling to it can be a pretty good and enjoyable alternative. Most lodgings in Siem Reap offer tuk-tuk tours around the Angkor Area. During my first and second visit to Siem Reap, I availed of tours from Happy Guesthouse (40 USD for three days), which included the tuk-tuk, driver and gas. Most drivers has a basic grasp of the English language, so communication isn’t really much of a problem. Riel is Cambodia’s official denomination, although it is interesting how most people in Siem Reap uses US dollars as much as riel. One of the reasons may be due to the weak value of the local currency, with 1 USD amounting to about 4,000 KHR. It’s not uncommon to use both currencies when transacting, dollars for the larger amount and riel for the change. ATM’s in Siem Reap dispenses both riel and dollars. 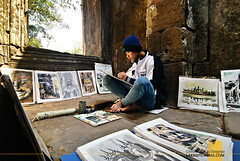 Khmer is the national language of the Cambodian people (which are also called Khmer, by the way). Most young locals I met have a basic understanding of the English language compared to the older generations. The language barrier is quite thick in the region, especially on the non-touristy areas. How Much? – Tlay Bonmaan? 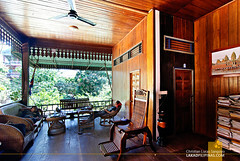 Siem Reap has a multitude of lodgings for all type of travelers. Along the National Road 6 are the huge, high end hotels; while the backpacker district can be found along Wat Bo and the Old Market Area. An overnight stay can be as low as 6.00 USD and can be as high as hundreds of dollars; everything depending on your budget and taste. Khmer cuisine can be found everywhere in Siem Reap and they’re quite easy on the wallet too. 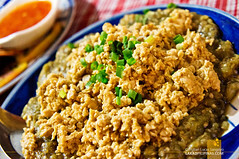 Unlike its neighboring countries, local Cambodian dishes are generally not spicy. 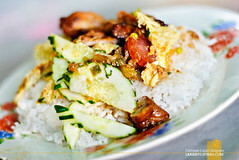 And since most Cambodians are Buddhist, pork can be found on most restaurants. Pub Street along the Old Market Area has a good variety of restaurants serving both Khmer and western dishes. Just don’t expect any McDonald’s or Starbucks Coffee here, the only western fast food joint in Siem Reap is KFC. 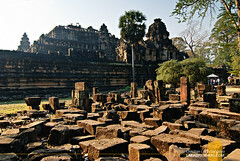 There are over a thousand temples in and around the Angkor area in Siem Reap. You can just imagine how overwhelming it is to tour everything (which is probably nearly impossible in my estimation). 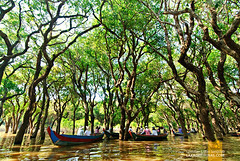 The tours in Siem Reap are generally categorized into three parts; the Angkor tour, the Little Circuit, the Big Circuit, the Roluos Group and the Tonle Sap Lake tour. 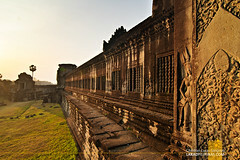 The Angkor and the Little Circuit can be combined in a day, so are the Roluos Group and the Tonle Sap Lake tour. 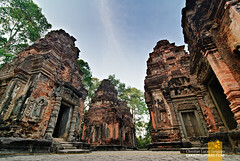 Besides those, there are still other temples on the outskirts and outside the city that one can visit. 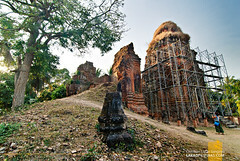 The most notable of these are the Beng Mealea and the Koh Ker temples. 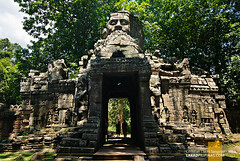 North of the city, one can find the Phnom Kulen National Park. 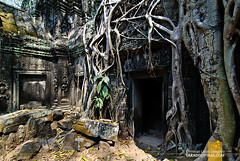 It has two waterfalls and a number of small Angkorian temples in various states of ruin. Before going on a tour, make sure to drop by the APSARA (Authority for the Protection and Management of Angkor and the Region of Siem Reap) office. Your tuk-tuk driver will take you there, en route to your first tour, to get a Temple Pass. Without this, you wouldn’t be able to enter any temple in the area. They have three kinds of passes, a one-day pass (20.00 USD), three-day pass (40.00 USD) and a seven-day pass (60.00 USD). 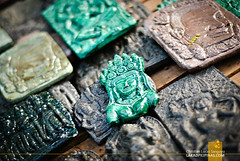 For souvenirs to bring back home, the best place to shop is at the Old Market Area in Siem Reap. Here you can find all the usual knick knacks tourists just love to buy; fridge magnets, key chains, shirts, carvings, antiques and what-nots. 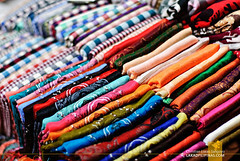 Be sure to haggle, as most stores expect you to. A two-day weekend tour of Siem Reap is possible, although you’d really barely scratch Angkor’s massive surface. 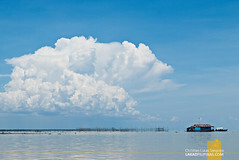 It would be ideal if you can spend at least three full days exploring the area. 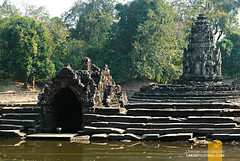 That way, you get to see the lake, the smaller temples and the major Angkor temples. 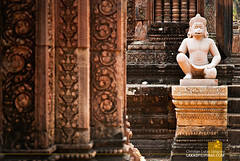 If you have more days to spend, you can either visit the far temples outside the city or simply leisurely spread your temple visits, it is easy to get templed-out while exploring Siem Reap, what with the number of temples you visit each day. If it were up to me and I have a week or two around Siem Reap, I’d bike around and simply visit one or two temples a day, finishing up at Pub Street every night, of course. This itinerary is very packed, you’d probably find yourself very tired and sick of temples at the end of each day. I purposely started from the minor temples, building up the major ones. 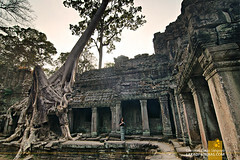 In my experience, once you see Angkor Wat and Angkor Thom, you won’t appreciate the other smaller temples as much. And of course, each tour days can be switched over or omitted, the temples switched between tours (check the map for easier planning) depending on how long you’re staying in Siem Reap. Hello po! Ask ko lang po if nakapunta kayo sa beng mealea annd koh ker? Hi! How much is your budget for 4 days? Thank you! 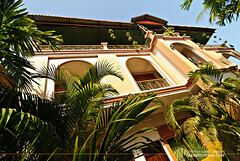 You mentioned that you availed 40USD for your tours (@ HappyGuestHouse). Did you visit all the places mentioned in your sample itinerary for 40USD spent on transpo? Thanks for sharing your experience in Seam Reap. I got a lot of inputs. 😀Actually, I'm scheduled to be there this Feb, however, I can't finalize yet my itinerary. Question po. 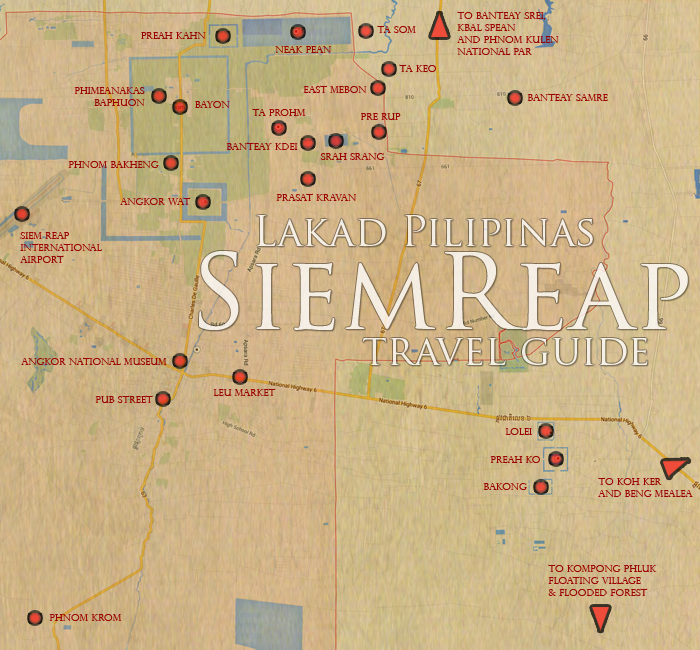 If ever we will arrive at 9 am in Seam Reap, is it still possible to do your Day 2 itinerary? Hi Christian! So glad to come across your post! It's so helpful and very informative. I'm planning to adopt your itinerary when we visit this March for our wedding anniversary. I'm just wondering though, would you advise that we avail the tour of Happy Guest House or we can do the tours on our own and just follow your list?